We are all familiar with the word torrent. However, most of us don’t have a clear idea about what it actually is. If you too are stuck by the question in your mind, ‘what is a torrent,’ we can surely help you understand it better. That said; now let us take a look at the details of the torrent. What does the torrent mean? By the term torrent, we mean a computer file containing Metadata which has various information stored in it. A torrent file comes with the extension .torrent. However, it doesn’t include the actual contents that need to be distributed. This particular information will then be utilized by BitTorrent software for real distribution to take place. This allows the users to download the torrent files that they want on their device. BitTorrent technology is considered to be very convenient. This has resulted in many users to download copyrighted files which are considered to be illegal in many countries. However, that doesn’t imply that all torrent files are unsafe to download. For your information, some torrent sites are legal. Users can download torrent files from these sites without any issue. You can download any type of torrent file that you want. Starting from movies to TV shows, everything is available on torrent. Torrenting is considered to be the best way of sharing files on the internet. It is not only convenient, but you can also download media files and software for free. This is one of the biggest reasons why torrenting is so popular all across the globe. You will find millions of torrent users all around the world downloading various torrent files daily. In a nutshell, a torrent file initiates the download of the actual content. When a user is willing to receive a shared file, they need first to get the corresponding torrent file which can be obtained by using magnet links or by simply downloading the torrent file directory. You need to use BitTorrent software to open the file. 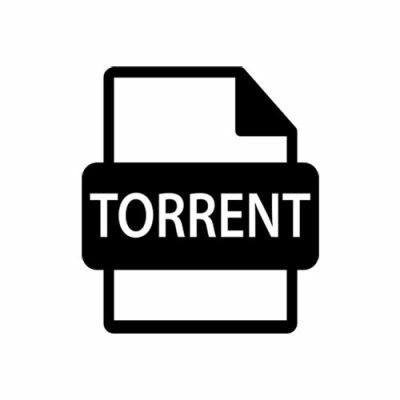 The BitTorrent file will first scan the torrent file and then locate the seeders that are sharing the corresponding torrent file. Once it is successfully done, the required content will start transferring. You should be informed that a torrent file is downloaded in fragments. This means that you are downloading pieces of the file which is then resembled once the download is completed. There are several popular torrent sites on the web. These are the sites where users get the supply of torrents. However, most of these torrent sites on the net have received a backlash from many of the countries. This is all because of the conflicting copyright issues. The use of torrents is technically legal, but due to the increasing illegal use of it, it has now received a bad name. This is why it is crucial for you to know which content is legal to download. Look for the legitimate torrent sites from where you can get legal torrent files. If you are downloading a torrent file for the first time, you may find the process a bit complex. But as you get the hang of things, it will appear to be very easy. However, you should know that it doesn’t involve click and downloading a file. It can be challenging for you to find out a good quality torrent file to download. At first, download a torrent client such as qBitTorrent or Deluge. You need to download a torrent client that is compatible with your device’s platform. You can also get torrent clients for ios and Android platforms as well. It is advised that you stick to your PC when it comes to downloading torrents. Now look for the torrent file that you wish to download. You can use a tracker or an indexer to search for your desired file. Download the torrent file that you were looking for. You can even use the magnet link if there is any. In case, if your torrent client fails to start automatically, what you can do is open it, and then add it via manual method. Be patient enough for the torrent to download from peers. Once your download hits 100%, you will be able to open the torrent file. You should leave the torrent client running when your download is actively uploading. This will allow you to seed to the other users. Well, now you know how to download a torrent file. It is an easy process if you follow the steps carefully. Why using torrents is dangerous? When downloading torrents, your IP address is visible to other peers on the web. There are many record companies, and production houses employ people to find and report these IP addresses. This may get you into serious legal issues. However, if you are adamant to download torrent files, then you should consider using a VPN service. A VPN service will allow you to access these torrents sites and files easily and that too without getting detected by any third parties. A VPN service masks your IP address, and thus, no one on the web can expose your identity. However, you should use a paid VPN service. Paid VPN services are better any day as they are more efficient in their functioning. You can get some good paid VPN options out there. Thus, from the above discussion, it can be concluded that torrents are an effective way of sharing files on the web. It may be technically legal to use a torrent file, but due to the upcoming copyright issues, it has received a bad name. If you are to use torrent files, it is advised that you use a paid VPN service. This will keep you protected from the eyes of third parties on the web.